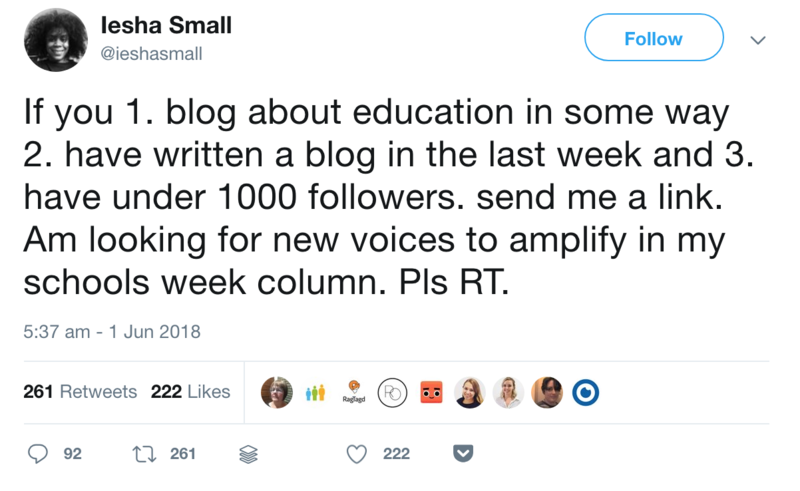 Lots of bloggers write about education and schools but it’s hard for them to find an audience. I share some new bloggers that I have recently come across. I needed it to be in the preceding week because I shared a rota with 3 other reviewers and it was to ensure that we didn’t overlap. I wanted under 1000 followers because I wanted to amplify some new, less well known voices. This is something that teacher Jane Manzone has recently tried to do when she set up the New Voices conference. Initially I just got loads of retweets and I thought “meh, Twitter the echo chamber- all retweet no action.” Then suddenly replies started trickling in from the UK and beyond. Blogs come and go. There used to be a site called the echo chamber and the echo chamber uncut which collected and disseminated all the education blogs in the UK. It was a handy resource but I’m not sure if it has bloggers and blogs that are new to the UK (and wider) Edu blogging scene. This blog post was originally titled “A squillion education bloggers you may not be aware of” but once I started looking I realised that the numbers of bloggers who had written in the last month and wrote fairly regularly (for me that was at roughly monthly, excluding the summer holidays) was much smaller than the overall number who contacted me. This was a replication of the problem that I sometimes found when writing my Schools Week column. I’d be excited about having found a new blogger who wrote from an interesting perspective or was from an underrepresented group only to find out that they blogged really sporadically and maybe no more than three of four times a year. I’ve added a short list of some the blogs that people sent me here and what they blog about. Do take a look. This is just a list not an endorsement but I have found interesting information in each. The order is the order in which people tweeted me, it’s not a ranking. I have only added ones that had been updated within the past month at the time of writing. I’ve recently stopped writing the Schools Week column but I still think these are worth sharing. Richard Hopkin’s Blog. UK based. Covers the adventures of Richard Hopkin, a music teacher and technology enthusiast in Wales. Latest post outlines how Richard has encouraged students to reflect on their learning by creating a short daily vlogging habit at the end of each lesson using ipads. Can I go and Play now. A UK based blog exploring the magic of children in the early years phase. 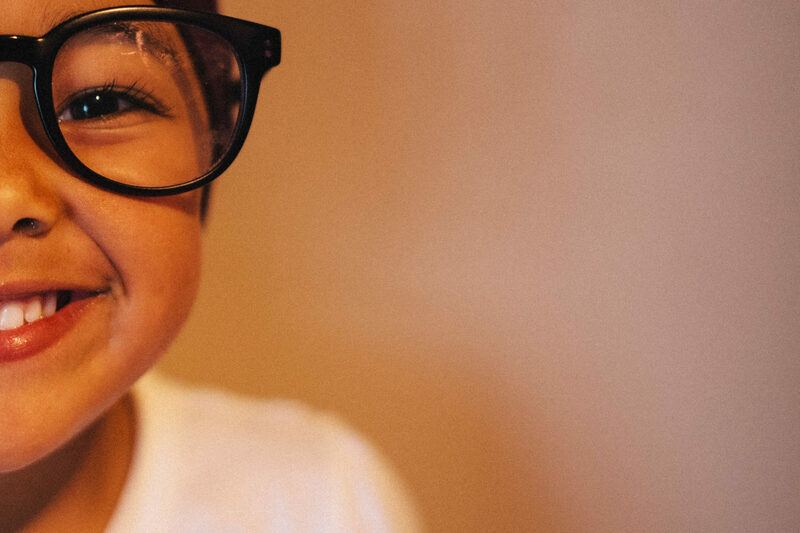 Latest blog explores raising the profile of play and playfulness. Interaction Imagination. Sweden based. Suzanne Axelsson writes in English and Swedish about early years education, play and various other topics. Most recent blog really made me think because Suzanne explains why she uses West Asia to refer to the region that I generally call the Middle East. @suzanneaxelsson. Take a look at one of the blogs here or start your own especially if you have a different perspective or something interesting to say. If you do decide to write your own blog even writing just once a month will mean that you can be considered a regular and consistent blogger.